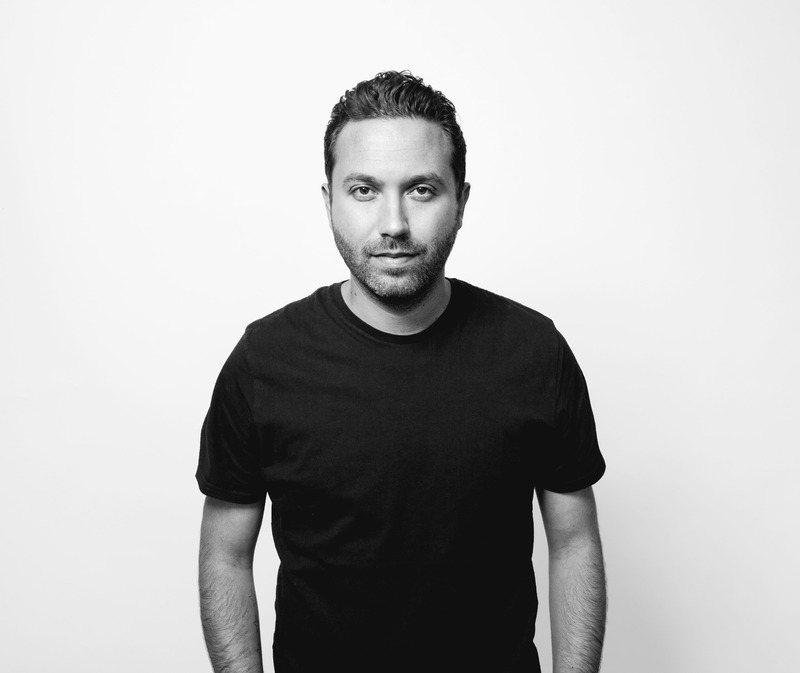 Maidstone-based Nic Fanciulli was always a club kid and local institution ClubClass with its landmark bookings in particular evoked Nic’s interest in DJing. His legendary residency there laid the foundation for his international DJ career and his infamous back-2-back DJ sets with Carl Cox, James Zabiela or Joris Voorn recently for his La Familia residency are full of twisted energy. Grammy-nominated Nic Fanciulli’s very own Saved Records celebrates its 10th anniversary soon, so we took the chance to have a chat with him. Enjoy! If you had to get rid of your entire record collection apart from three tracks, which ones would you choose and why? Great memories of this record, and quite simply one of the best records ever made. This whole album is just amazing and reminds me of a particular time in my life — Beth Gibbons’ voice is amazing! Pure classic — I still play this today, and it still works. The production is just amazing as well. When did you first listen to Lauren Garnier and how did his style influence the way you DJ? Laurent Garnier has always been one of my favourite DJs. I love the way he incorporates so many different genres when he plays, switching to drum & bass from house and techno. I think it’s always important to be open-minded, when I play clubs like Womb, I often play some drum & bass at the end, or some more ambient records in the beginning – whatever works – and the crowds are so responsive as it’s new and different. What characteristics should the last track of the night have in your opinion? I think it totally depends on the crowd and the market, but most of the time I think it’s always nice to end on a high — especially for the guys that stay right until the end, its nice to give them something to remember, and a big record will usually do that. I’ve been playing the Groove Armada remix of Drew Hill – Talk To You quite a lot recently, which really works in that high energy moment. Your Buick Project remix for Tiefshwarz & Tracy Thorn’s ‘Damage’ led to a Grammy nomination in 2007. What is your current view on the remix market? Are they still worthwhile, or is it more important to focus on original productions? I think remixes are an important and exciting part of production, at least for me. It gives you the chance to completely take apart another persons work, and make it your own. I’ve always enjoyed remixing the right record, and often it can lead you to get really inspired working on your own projects. Obviously original productions are also extremely important though, as they shape you as an artist and producer I think. You’ve compiled countless compilations for labels like Renaissance, Global Underground, Balance, and most recently Defected for their ‘In The House’ series, and always spend a lot of time on the project, comparing it to an artist album. When can we expect your debut long-player? I’ve been working on this album for nearly seven years, so for me to get to the stage I’m at is something! I think an album should be something different, something personal, and an expression of your personality. I really want to create something that works as well in the car and at home as it does at an afterparty, or a club; which isn’t the easiest thing, but i’m happy with where the album is at right now, and we’re in the final stages of completing it, so we’re hoping for a 2015 release date. Do you ever feel uncomfortable with the commercial side of Ibiza, and the way it’s changing and progressing? Not really. I’ve been going to Ibiza for over 10 years, and the change was inevitable. Its the central place for dance music in the world, and a hot spot for clubbing, so people were bound to start going there more and more. I think with anything, the ‘commercial’ side of things ends up directly benefitting the underground anyway. If you look at someone like David Guetta — what he does it totally different to what we do, but the kids that come in at the entry level always end up looking further and further into the genre to discover more artists, and I think that’s important. The commercialisation of Ibiza, for me, just means being able to play to bigger crowds in amazing venues, on an island that I love. Do you always feel pressure to keep your social media up to date? How important is it to give back to your fans with things like free downloads etc.? Nowadays, it’s pretty important I think. I remember when we used to get DJ bookings via fax, and it would take days to do anything, so technology has affected the music industry in a lot of ways, and social media comes with that. Ultimately it gives your fans, the people that are coming to your shows and buying your music, an insight into your life, and allows you to give back to them. I have so many edits lying around that have sounded amazing in my sets — I might even give one away for Xmas! What’s next for Nic Fanciulli? I have a few exciting projects in the pipeline. Obviously my La Familia residency with Joris Voorn is extremely important — we’ll be doing our first show outside of Ibiza this January at The BPM Festival, then working on the plans for the rest of the season throughout 2015. Saved also turns 10 next year, so we’re planning something pretty special for that. I’m also hoping to get the album wrapped up and out there towards the back end of 2015, as it’s been a long time coming, but I really feel like the time is right now. There’s also a couple of other special projects that I can’t quite talk about yet — watch this space!